Features a pen loop, writing pad, document and business card pockets. 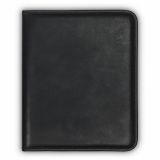 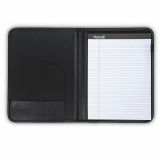 Samsill Professional Padfolio, Storage Pockets/Card Slots, Writing Pad, Black - Sterling Writing Pad features softly padded leatherlike vinyl with sleek radius corners. 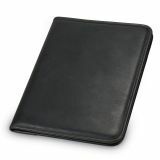 Features an inside document pocket, business card pocket and pen loop. 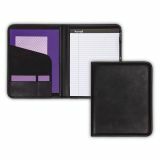 Includes writing pad.